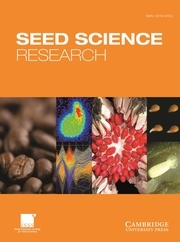 Seed Science Research, the official journal of the International Society for Seed Science, is a leading international journal featuring high-quality original papers and review articles on the fundamental aspects of seed science, reviewed by internationally distinguished editors. The emphasis is on the physiology, biochemistry, molecular biology and ecology of seeds. How much influence does the paternal parent have on seed germination?